Public transport from Vienna: use subway to get to Heiligenstadt station (line U4, last stop on the north). From there, take the IST shuttle or bus #239. The bus schedule and additional information can be found here. Travel time to/from Vienna is approximately 20 min. Note, that google maps are not good with public transport routes, use WienerLinien instead. Car/Cab: use address Am Campus 1, Klosterneuburg-3400, Austria in your GPS/navigator. IST Austria (Institute of Science and Technology) is a young growing international institute dedicated to basic research and graduate education in the natural sciences. The institute has a vibrant research atmosphere, promotes international open culture, and provides competitive compensation and numerous benefits. The official language at IST is English. 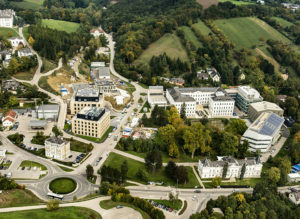 The growing campus of IST is located near Klosterneuburg. Surrounding rolling hills of the Vienna Woods with its vineyards, pastures and forests provides an excellent environment, yet IST is in a close proximity to Vienna. 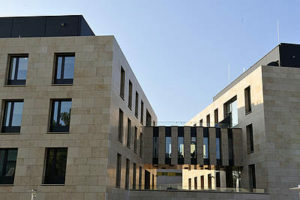 The institute is easily accessible from Vienna by IST shuttle buses and public transport. The on-campus facilities include guesthouse, pub, cafeteria, sport facilities, machine room, supermarket, and daycare center. The nearby city of Klosterneuburg (est. in 1114) offers all educational, medical, social and cultural services at an exceptionally high level. Our group is located in the Office Building West (building #21 in the campus map) on the second floor. Seminar room is located on the ground floor of the same building.